A Creditors Voluntary Liquidation (or otherwise commonly known as a CVL) is a process commenced by the Directors of a Company to cease trading and place the Company into liquidation. This differs from a winding-up order, which is involuntary and arises from the end result of any enforcement action taken by a creditor. – Is the business insolvency on a balance sheet basis, i.e. do the total sum of the Company’s creditors exceed its total assets? – Can the business meet its commitments as and when they fall due? – Has any of the Company’s creditors obtained judgment? Are there any outstanding Statutory Demands that have not been set aside? Confirmation of the exact point at which a business is insolvent is not determined by one single factor but by a range of circumstances specific to each business. It is therefore important that clear, independent advice is sought as soon as possible to enable as many recovery and restructuring options are available. As outlined in the criteria above, a Company can be comfortably solvent on a balance sheet basis yet suffer from a poor cash flow position, rendering the business illiquid and unable to settle its liabilities as and when they fall due. 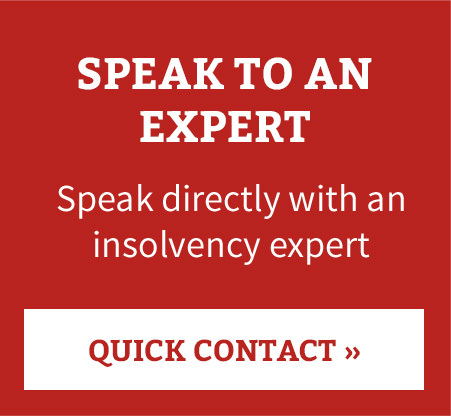 In all circumstances, Parker Andrews can help – contact one of our Insolvency Practitioners for a confidential discussion about your scenario. More information on Insolvency Warning Signs can be found here. What if my business is viable? If the core business operation is of value and can be rescued, restructured or remodelled, it may be possible to consider alternative formal options, such as a Company Voluntary Arrangement (CVA) or Administration (ADM). Please refer to our other pages for further information on these procedures or contact a member of our team. Generally speaking, the Directors of a Company have a statutory duty to promote the success of the business for the benefit of its members (i.e. shareholders). In most circumstances the directors are also shareholders and the distinction between the two can become blurred. However, when the business is facing difficulty and appears to be insolvent, it is important to note that the Directors also have a duty towards the Company’s creditors and must not unnecessarily worsen their position. A CVL is therefore a good option for Directors seeking to minimise their own personal risk in respect of their statutory duties. The Directors will be also be required to assist the Liquidator by providing information from time to time. Deciding to place a Company into liquidation need not also mean the end for your business. Any individual is entitled to incorporate and hold office in a Company before and after any CVL of another Company to which he/she is appointed. This may be in a similar line of business. However, there are restrictions on reuse of similar names and, typically, on usage of any knowledge or goodwill the Company has built up. You should seek independent advice on the exact restrictions that would apply in your circumstances. In such circumstances the Director may wish to purchase the business of the Company being placed into CVL via a new entity, such as a newly formed limited company. This is a relatively common transaction. Before it is undertaken, the purchaser should give thought to ensuring sufficient funding is in place to complete a transaction. It should also be noted that the Liquidator will be required to obtain the best price for the assets in question. Ordinarily this would require a full valuation be undertaken by a surveyor. Once this has been completed, a sale can be agreed and completed. The new business would then be able to trade moving forwards with the assets. If such a sale is to be completed prior to an appointment of a Liquidator, careful consideration should be given to section 238 of the Insolvency Act 1986, which relates to “transactions at an undervalue”. Should a liquidator be appointed after a sale has been completed which appears to be at a value materially lower that the market rate, the Liquidator may seek to overturn the transaction or receive supplementary payment. In short, the Liquidator’s general overriding duty is to recover the Company’s assets, remit the costs of realising them and distribute the funds to creditors in the order of priority as prescribed in the insolvency Act. In addition to this, the Liquidator is required to report on the conduct of the Directors in the period prior to the appointment. When you contact the office to initially discuss your situation, you will speak to either a member of our management team or one of our Insolvency Practitioners. They will ask you for details of your company’s current financial situation (assets and liabilities), along with any pressure you are receiving from creditors and your plans for the future to gather together information to enable them to review the options available to you. Our aim will be to provide you with details of all of these options and suggest which may best suit your situation. If required, we will arrange a face to face meeting with you and one of our Insolvency Practitioners at a location convenient for you. Here you will go into further details about you/your company and we can help you decide on the best option for you going forward. Once you have been provided with your specific advice and you have chosen to proceed with the Liquidation, you will formally engage Parker Andrews to deal with taking the necessary steps to place the company into Liquidation. From this point we become point of contact for all creditors and customers, and will ask that all correspondence for the company be redirected to us so that we can deal with answering queries on your behalf. We will provide you with a fact find document to complete to provide us with the necessary details to prepare the paperwork for the meetings of members and creditors. You can complete this yourself, or with the assistance of a member of our staff. We will also request any financial records you can provide including, if applicable, a backup of any working accounting records. Once we have obtained sufficient information to prepare the necessary documentation, we will prepare notices to be sent to members and creditors to hold the meetings to place the company into Liquidation. We will also place an advert in the London Gazette. In preparation for the meeting of creditors, we will assist you to prepare a Statement of the Company’s affairs based on the financial information you provide us with. We also compile a report to the creditors meeting which includes statutory information, a company history which is re-worked into our standard format from information provided by you, and a summary of financial information. A meeting of the company’s members will be held to pass a special resolution to wind up the company, and an ordinary resolution to appoint a Liquidator. Once the special resolution is passed, the company is in Liquidation. A meeting of the company’s creditors is then held to ratify the member’s choice of Liquidator, and pass a number of other resolutions. The Statement of Affairs and report to the meeting of creditors are presented to the meeting and, should any creditors attend the meeting, they are invited to ask any questions they have which are to be answered by yourself or the Liquidator on your behalf. Once the company is in Liquidation, the Liquidator will complete their statutory duties, realise the assets owned by the company and report to creditors on the progress before calling a final meeting to close the Liquidation.